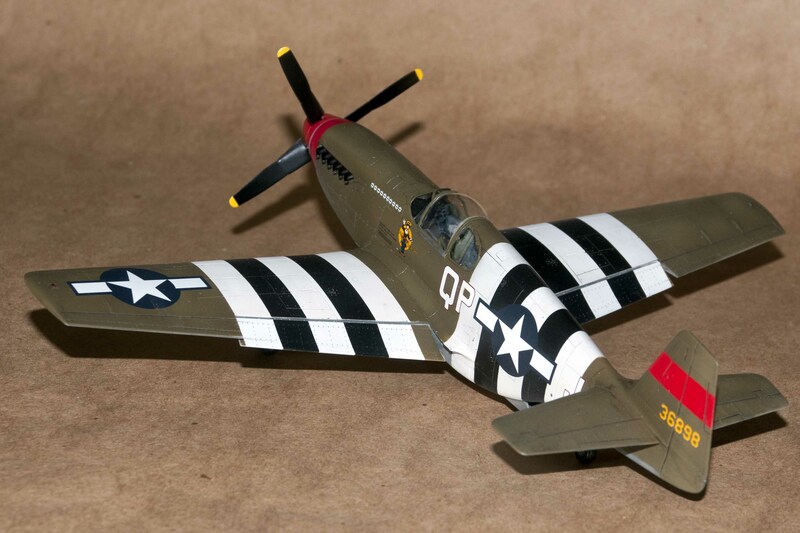 First released in 1995, the Tamiya P-51B Mustang is a simple kit that builds into an exceptional model. 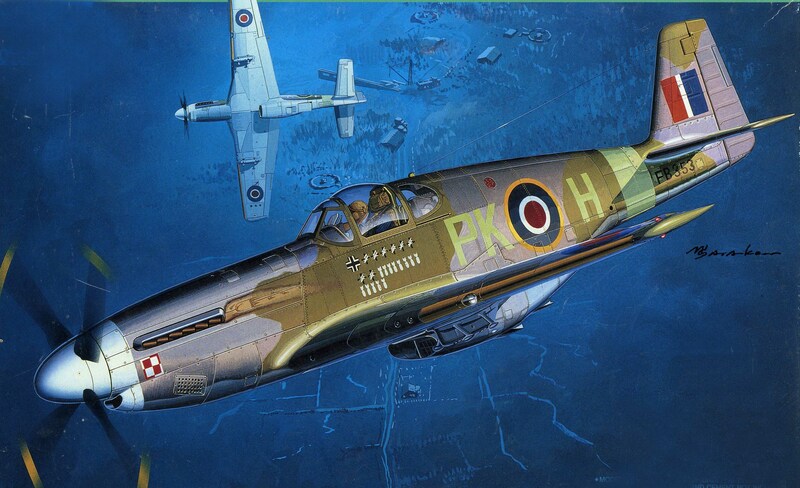 The initial P-51B release was quickly followed by the Mustang III in RAF markings. This release added a blown Malcolm Hood as well as the original kit canopies. All subsequent releases include the Malcolm Hood. Built straight from the box, a very competent model can be assembled. The only thing that lets the kit down are the decals. They are labeled “Invisiclear” by Scalemaster. They have a tendency to shatter when dipped into water. 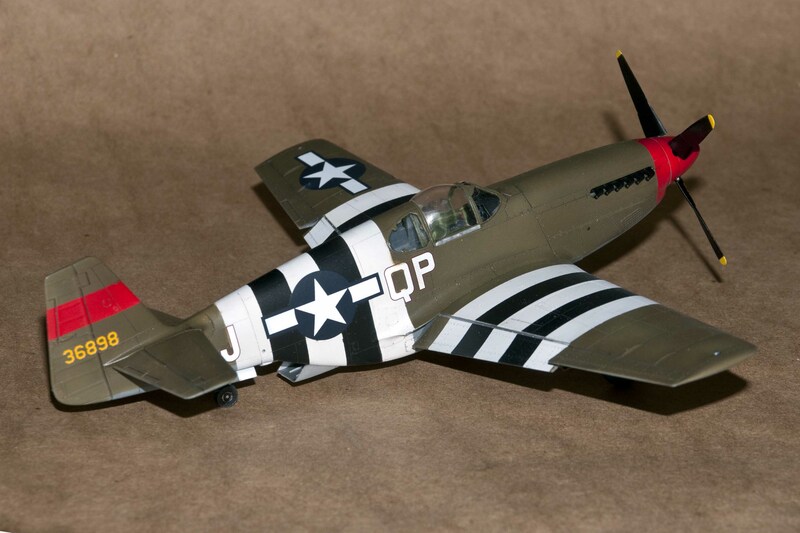 Fortunately, there are a large variety of decals for the B model Mustangs from Superscale, Aeromaster and Eagle Strike. One area that can be improved is the cockpit. The instrument panel has only blank gauges, the cockpit sidewalls are simplified and the cockpit floor is curved rather than straight. If you want to go to town there are several resin cockpit sets available. If chiseling off the sidewalls doesn’t appeal to you, Eduard makes a Zoom set with an instrument panel, sidewall details and seat belts. If you leave the canopy closed careful painting of the interior is all that is really necessary. Assembly of the Mustang is pain free and the fit is excellent, there are no problem areas to speak of. If you want to improve the looks of your model, Ultracast makes a number of simple resin replacement parts including propeller blades, seats, shrouded and unshrouded exhaust stacks, and three wheels with different tread patterns. I simply added Eduard seat belts. 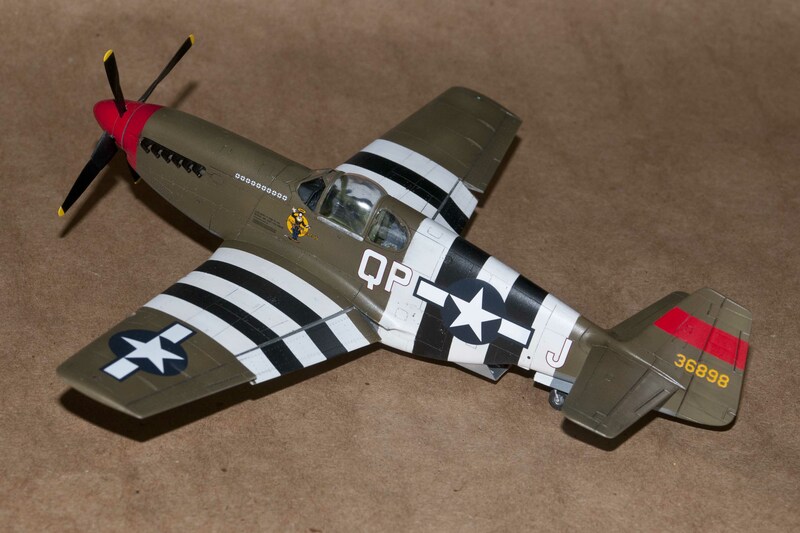 For my Mustang I used Eagle Strike sheet 48-274 4th Fighter Group P-51 Mustangs. I chose Capt. Howard Hively’s “The Deacon”. 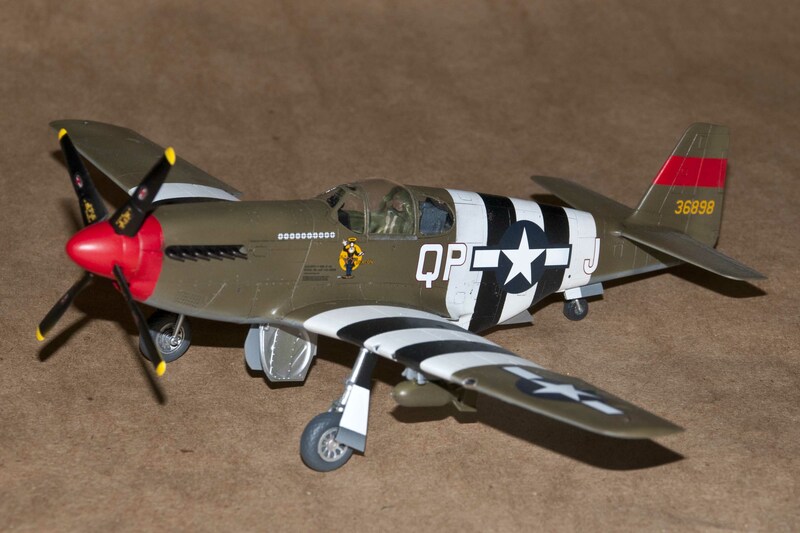 The aircraft is in standard Olive Drab over Neutral Gray. 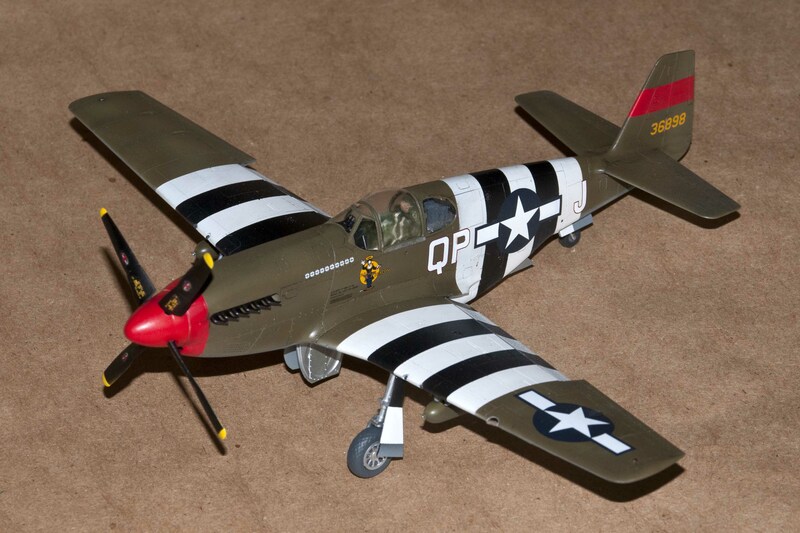 With full invasion stripes and a red spinner and noseband. 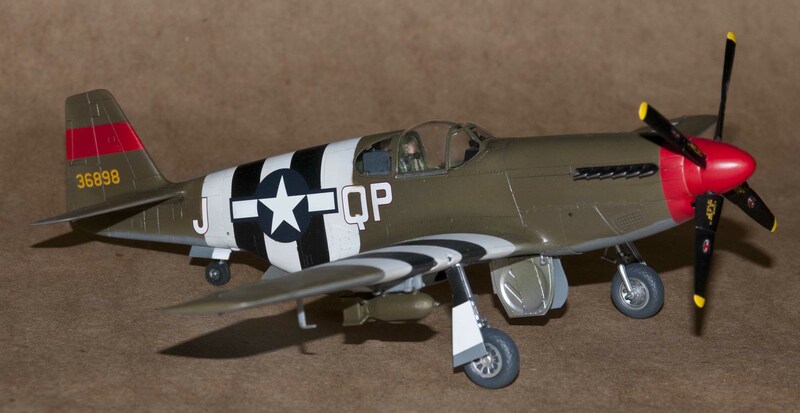 The model was painted with Tamiya acrylics. The Olive Drab mixed using Tamiya Olive Drab lightened either Tamiya Yellow Green. The remaining colors were straight from the bottle. Overall a straightforward and enjoyable build the kit is highly recommended.